Kio Stark has authored Don’t Go Back to School: A Handbook for Learning Anything, a guidebook about alternative learning that “provides concrete strategies and resources for getting started as an independent learner.” We previously wrote about the book in 2011 when it was seeking funding through a campaign on Kickstarter. It is available as an eBook at Stark’s site and on Amazon as a paperback. Here is a radical truth: school doesn’t have a monopoly on learning. More and more people are declining traditional education and college degrees. Instead they’re getting the knowledge, training, and inspiration they need outside of the classroom. Drawing on extensive research and over 100 interviews with independent learners, Kio Stark offers the ultimate guide to learning without school. 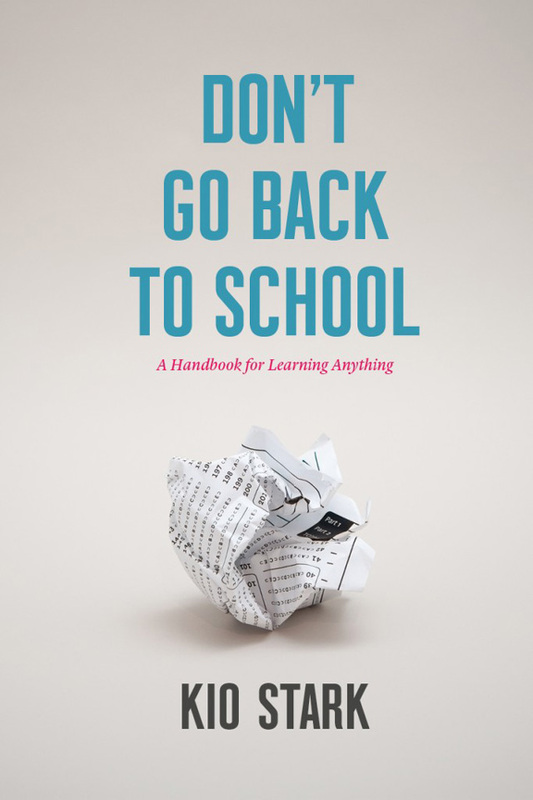 ‘Don’t Go Back to School’ provides models and methods for taking a new kind of path through learning, and transforming that alternative education into an exciting career path…If you’re debating whether college, trade school, or independent learning will get you where you want to be, ‘Don’t Go Back to School’ is essential reading.